Sapphire earrings. Stud sapphire earrings. 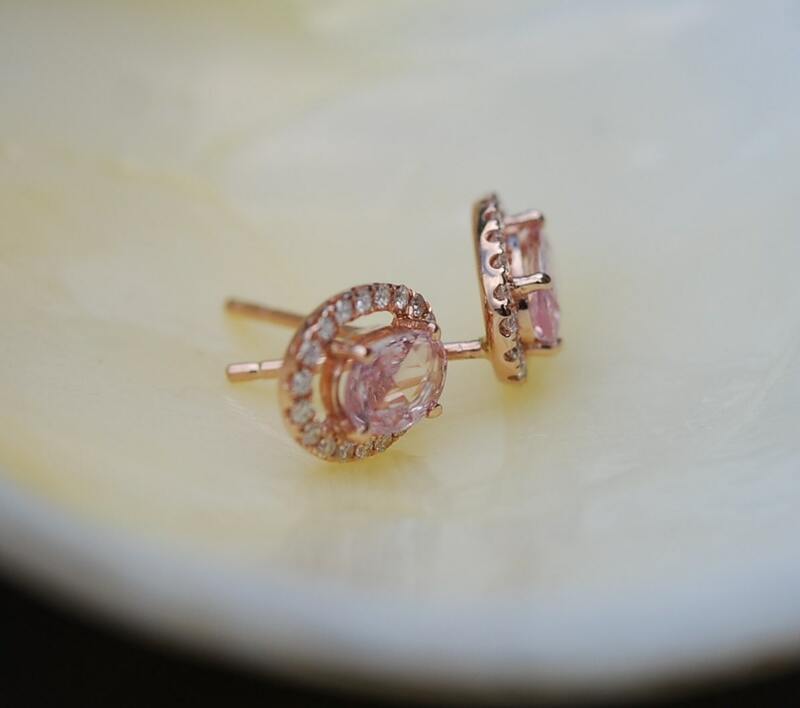 Earrings Rose gold Peach Sapphire diamond earrings 14k rose gold. Stud earrings, halo earrings. Sapphire earrings. 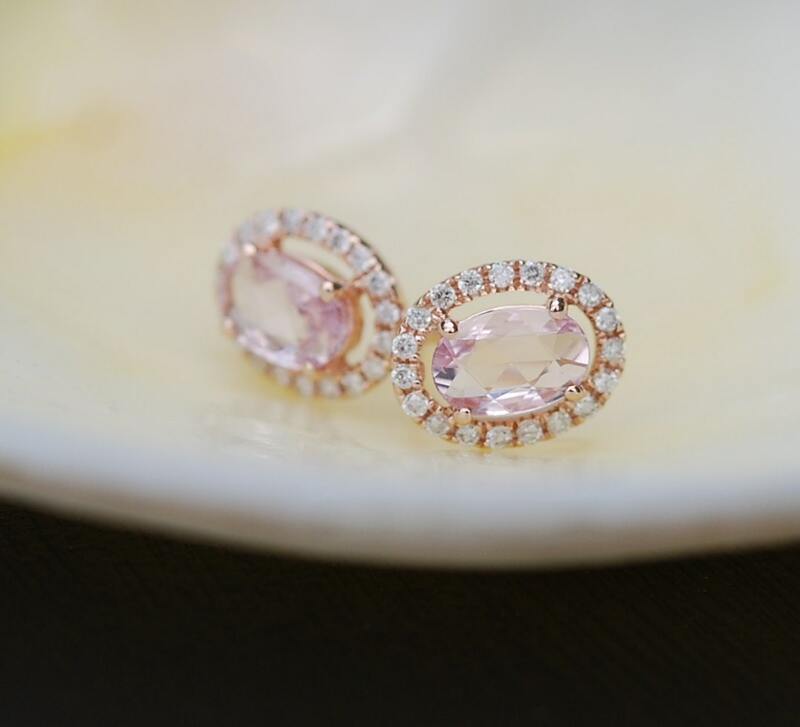 Peach sapphire earrings. 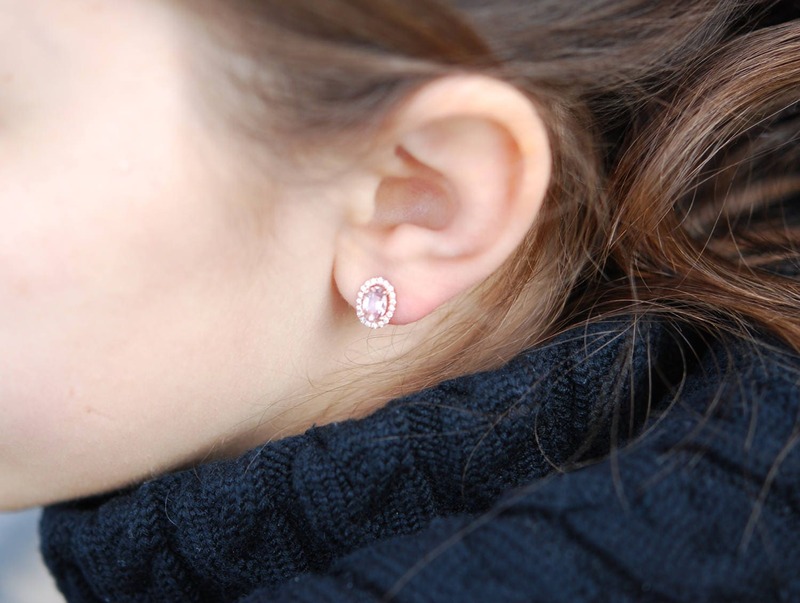 Rose gold earrings. 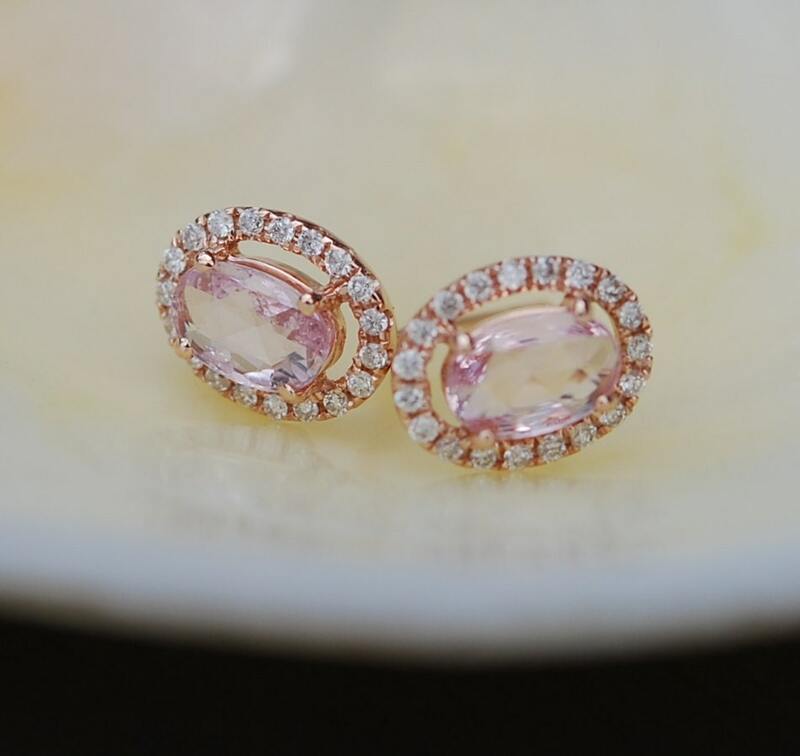 These earrings were created to match Peach Sapphire rings by Eidelprecious. Each sapphire is approx. 4x6mm, 0.5ct. Outer size of the oval is 7x9mm.